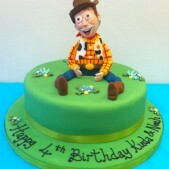 The Toy Story movies have got to be one of the best loved children’s collections of all time. 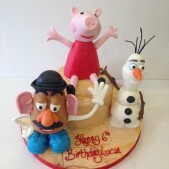 As the very first full length feature movies by Pixar these characters have been around the longest and we’re regularly asked for Toy Story birthday cakes! 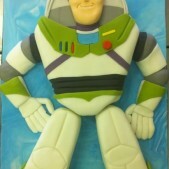 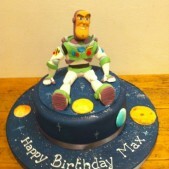 With Woody, Buzz Lightyear and Jessie having made appearances on Toy Story cakes we’ve made over the years, these colourful and cheery birthday cakes are sure to be the highlight of any party. 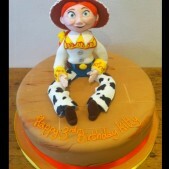 A Toy Story birthday cake can be created to showcase all your child’s favourite characters in one place!